When it comes to GPS golf watches, you can more or less rely on one particular name that can just about deliver all the time, and that would be Garmin. 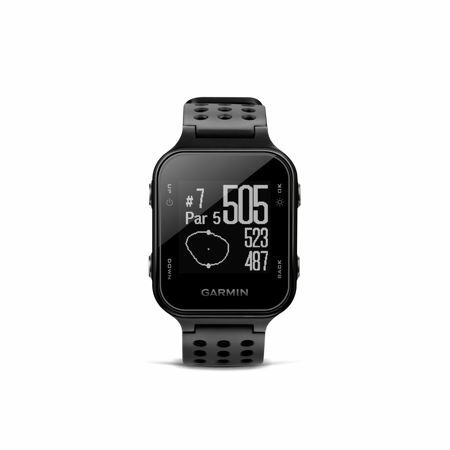 In the past, the company has rolled out its fair number of GPS golf watches, and this time around it looks like the Garmin Approach S20 GPS golf watch is set to further cement the legendary performance of Garmin’s products in this niche market yet again. First of all, the Garmin Approach S20 GPS golf watch comes across as a stylish, sleek and lightweight device, where this versatile timepiece comes with far more than just the ability to be able to tell you what time it is (actually, you already know – it is golfing time!). It will be preloaded with more than 40,000 courses around the world, in addition to daily activity tracking and connected features such as smart notifications and automatic updates. Not only that, there is also a new AutoShot feature that records the location and distance of every shot automatically, before allowing the data to be uploaded to the recently updated Garmin Connect mobile app for post-round analysis. The S20 will also work great in offering information such as yardages to the green, hazards and others, and will play nice with the new TruSwing golf club sensor in order to deliver in-depth swing metrics. Sporting a stylish and comfortable full-hinged watchband, the Approach S20 is perfect for everyday use. Apart from the rather obvious golf features, the S2 will also sport daily activity tracking that monitors and records daily steps, calories burned, distance and sleep, in addition to move alerts so that users will be notified to remain active throughout the day. The S20 is also capable of receiving smart notifications from compatible smartphones, letting you remain connected via notifications for call, texts, emails and more right on your new favorite timepiece. Expect the Garmin Approach S20 to arrive next month in black, white and midnight teal for a recommended retail price of $199.99.